Here’s the second card I made to announce to family in other states that we’re having our first baby! This card came so naturally to me. 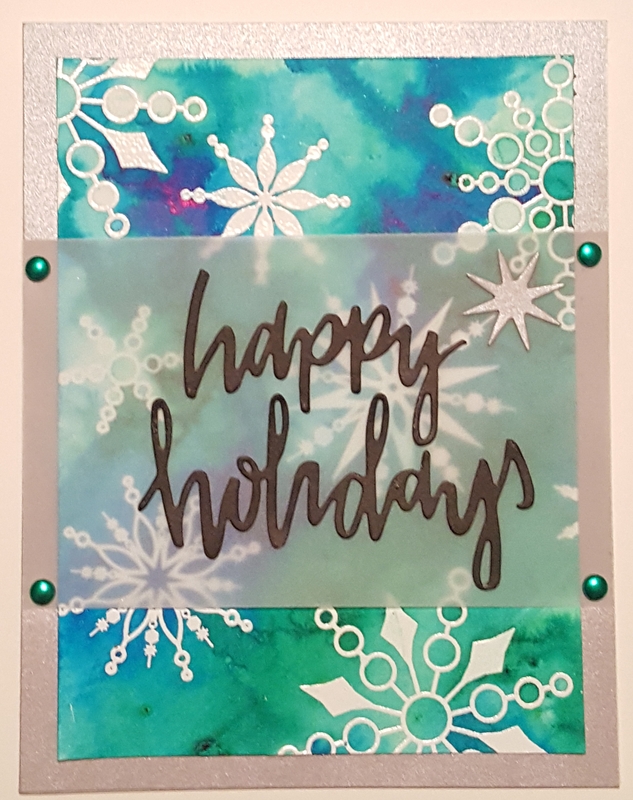 I find that I have the most fun making card with spray inks and using my fingers. If it leaves my hands messy then I probably had that much more fun making it! I thoroughly enjoy making mixed media cards. I hope you give this one a try! Remember, subscribe to us on YouTube so you can get notified when the video for this card goes live! Many of these products can be purchased at Simon Says Stamp as well as our e-bay store. 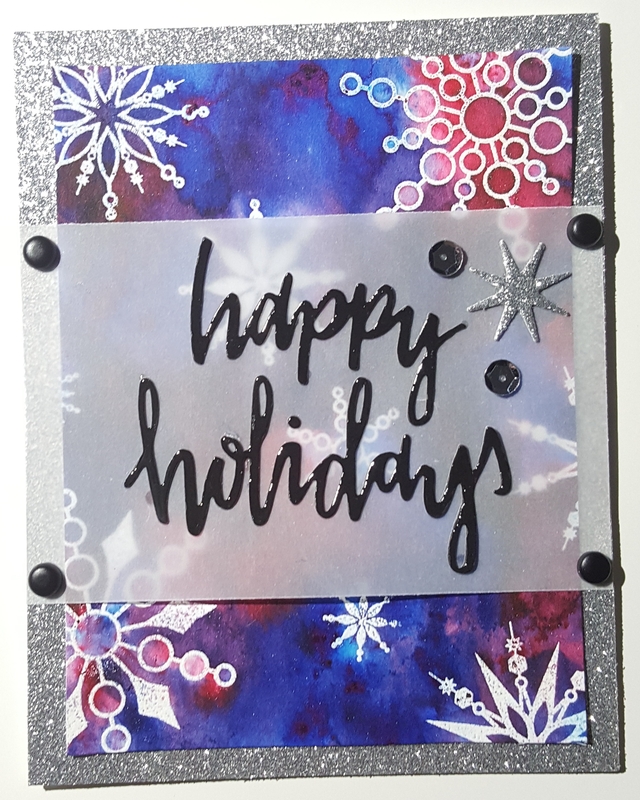 In the early evening yesterday I thought it would be nice to get some use out of my MINC mini and make some last minute New Year’s Cards. Using a free program called Inkscape I was easily able to make my vision come to life. I googled “Happy New Year” and found a nice sentiment for the front. Then I googled ” Champagne Bubbles” and found another image I liked. 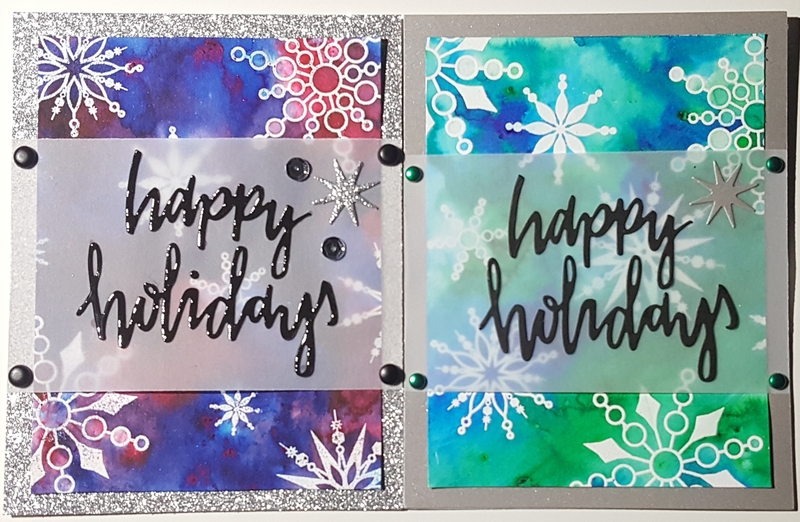 I used the trace feature in inkscape to manipulate the bubbles how I wanted and then rearranged them to create corners similar to the bubbles in Lawn Fawn’s Let’s Bokeh Stamp Set . When I am creating for a card I like to make a 4.25 x 5.5″ box to make sure I am scaling everything properly. You can perfectly fit four A2 sized cards on a single piece of paper. Next I printed these images out on a laser printer. It has to be a printer with toner to work with the MINC foil! I printed on Copier Transparency Film , White Cardstock and some thicker textured cream cardstock as well. I wanted the bubbles to be on the transparency in the foreground, but you can put them on the paper in the background if you prefer that. All that was left to do was run them through my MINC Mini machine and assemble. Simple as that! 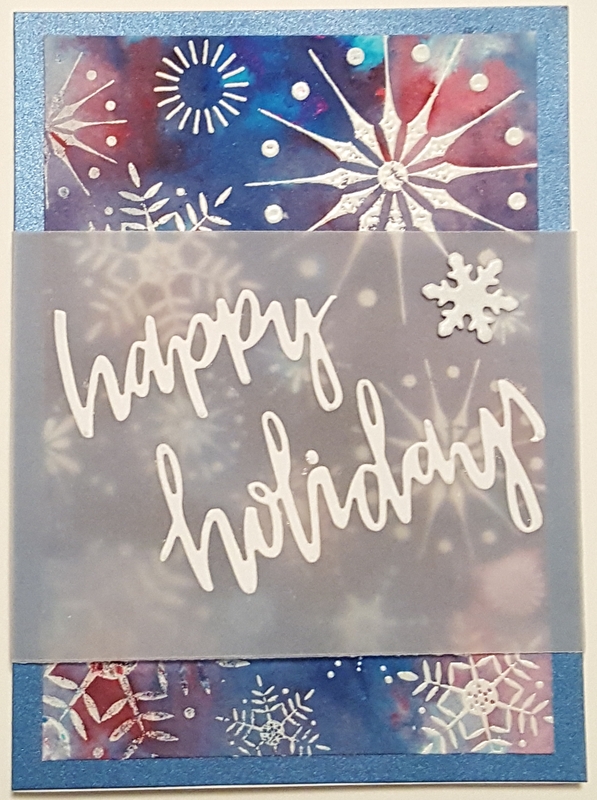 The foil really doesn’t like textured cardstock, but I wanted to try it out anyways. For best results, use a smooth cardstock of 110 lb or less. Thanks for stopping by and have a wonderful New Year’s!